When there is a need to engage another supplier to supplement your resources in a certain supply Contract and to accomplish the same within a stipulated period, this document is of great help to settle terms, both commercial as well as legal. Outsourcing is almost a necessity when handling a large project or when there is a need to engage another specialist to supplement your resources in a certain Contract work and to accomplish the same within a stipulated period when your own business is lacking in resources. This document template comes handy to define the relationship with a supplier, terms and conditions for its continuance and thus objectively satisfies the purpose and reasons, for the parties concerned. 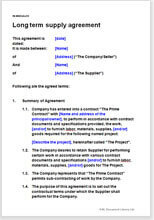 This document can be used by a Company arranging terms with a supplier in India or abroad to supplement its obligations in a supply contract such as to furnish labor, materials, supplies, goods, tools, services, facilities, supervision, and/or administration necessary for the proper and complete performance on "the Prime Contract" assigned to the Company. 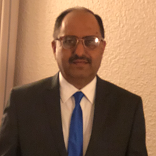 This can also be used by a Supplier capable of providing such and similar services to the Company, who has bagged the prime contract with the Principal.